As a member, you are presented with a lot of great opportunities to get involved and meet fellow members in MISSO. MISSO is a student organization that values its members and we do everything to help you along the way. From company presentations to social events, MISSO provides you with all the networking resources you need. Joining MISSO is a great way to build yourself as an IT professional. Not only will you be surrounded by a network of peers and employers in the field, but you will have opportunities to improve both your technical prowess through our many workshop offerings, as well as improve the community around you during our community service events. So join MISSO today! Employer Exposure – Our weekly meetings give MISSO members an opportunity to learn from and mingle with Houston’s top employers. Professional Interaction – Learn what it takes to make it in various fields from experienced professionals. Interviewing tips and industry experience are resources you can count on. The MISSO Resume Catalog – Each semester we compile our members’ resumes onto one easy to reference CD. It gets your resume into the hands of hiring managers that make the final decision. Peer Networking – MISSO provides a great atmosphere to make new friends in the same field that you can grow with professionally. You also have the opportunity to develop lasting relationships with professors. A Higher Salary – MISSO members on average make more than regular MIS graduates, and significantly more than other undergraduate majors offered through Bauer. T-Shirt – Get the latest MISSO shirt each semester. The popularity of the MISSO Career Mixer has been growing among employers. In the Spring 2013 semester, our Corporate Relations Officer was able to get 35 different companies in many industries to meet our great members. As a member, you are able to attend this catered professional event for free. It is a great networking opportunity and multiple members have been able to land jobs at the career mixer by bringing resumes and meeting professionals in the industry. This is a private event only offered to MISSO members. The Management Information Systems Student Organization has a history of producing top-notch college graduates with great work-ethics. Employers around the country are aware of the level of quality that comes from our members. Many employers visit our website and request Resume CD’s because it is a great opportunity for them to seek candidates. At the beginning of every semester, our Vice President requests resumes from our great members and compiles them onto a CD that is distributed to employers at Career Fair as well as general meetings. One of the greatest benefits of this Resume CD is not only another way to get your name to employers, but also to get some feedback on your resume from our Vice President regarding your resume. One of the greatest pieces of being a member of MISSO is being able to attend our weekly professional meetings. With at least 15 professional meetings a semester, members are able to meet employers, learn about different industries and develop professionally. Attendance at professional meetings is not mandatory, however it is a great opportunity for our members to develop professionally while putting themselves in the best position possible to get the job they want! Copyright © MISSO. All rights reserved. If you feel your design has what it takes, please fill out the following form and submit your design below. MISSO members are the best candidate for any MIS-related position you have. They joined with the motivation and drive to learn as much as they could about your company and ensure they did whatever it took to become the best possible fit. MISSO gives them the directions in order to attain that goal. As a sponsor, you will receive priority in selecting your Professional Meetings date and Career Mixer spot. Earlier meeting date gives you access to more available candidates to hire from. MISSO provides extra training including Coding Time, which is to provide extra assistant in MIS courses. We also value your feedback from the hiring process and adjust our training to accommodate. Hiring from MISSO ensures that you get a fairly well rounded candidate since we expose our members to different volunteer events and socials. Sponsoring MISSO is a small investment on your part that will yield great hires for your company. We look forward to hearing from you. One of the ways for MISSO to interact with it’s members is with the Committee Program. Each MISSO officer will have a committee member to work with them throughout the semester and help them with anything that may come up. Not only is this a great opportunity for anyone hoping to become a future officer, but also gives you something substantial to put on your resume. Below is a list of committee positions available with a short description. Fill out the form below and choose your desired position to be considered as a Fall 2014 MISSO Committee member. Expectations: As a part of the Operations Committee, you are expected to communicate well with the Operations officer so that coordination of events will run smoothly with your help. You are also expected to carry out the tasks that you agreed upon before the event, but you can exceed these expectations by being available for last-minute tasks. This is an opportunity for anyone interested in helping behind the scenes and getting exposure to what it takes to setting up any MISSO events. Would you be interested in being the Operations Officer next semester? Requirements: Good time management, extroverted, and organized. Expectations: Be able to communicate with our corporate contacts effectively and comfortably. This is an opportunity for anyone who would like to use their networking and social skills with any of our company presenters and assist the Corporate officer when needed. Would you be interested in being Sponsorship Officer next semester? Expectations: As a part of the Education Committee a member is expected to act in support of the education officer. A member of the committee may be asked to keep up to date information on current course topics as well as acting as a support during workshops as needed per the organization and/or the education officer. This is an opportunity for any member who would like to further their current understandings of upper level MIS courses by developing leadership and responsibility through assisting students with course materials. Would you be interested in being Education Officer next semester? Expectations: As part of the technology committee a member is expected to work with the current officer throughout the semester with any updates that the website may need or any technology related requests needed for MISSO. This is an opportunity for anyone who may not have extensive experience in web development and could use first hand exposure to web development. List All Programming Languages Used? List All Design Software Used? What experience do you have in web development or graphic design? Would you be interested in being Technology Officer next semester? Requirements: Availability during fundraising events and baking skills is a plus. Expectations: As part of the fundraising committee a member is expected to help with bake sales and other events to help raise money for MISSO. The committee member may be asked to donate baked goods and should be available to volunteer at the bake sales. A member may also be involved in working on getting sponsorships from corporate companies. This is an opportunity for anyone interested in learning the aspects of raising money for a student organization. Would you be interested in being Fundraising Officer next semester? The Management Information System Student Organization is dedicated to investing in its members. MISSO provide members with professional, educational, and leadership opportunities throughout their educational careers. MISSO encourages members to build on their hard and soft skills before they graduate and helps them become the type of well balanced, well networked, and qualified candidates that businesses are looking for today. 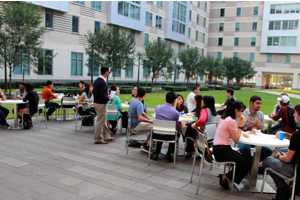 The Management Information Systems Student Organization aims to put each member in the best position to succeed as students at the University of Houston. We do this by providing an atmosphere of fellowship and scholarship in learning, and partnering with employers in mutually beneficial relationships to help jump-start careers. MISSO believes in actualizing academic pursuits with real world professional development. We’ve been working to create success professionals since 1982 and work diligently everyday to continue this legacy of excellence by developing the future one student at a time. MISSO works to facilitate enduring relationship with professors, alumni, and professionals. The resources available to our members are invaluable as students conduct their studies and in their future as IT Professionals. As you build the foundations of your academic pursuits through the University of Houston as a student, membership in MISSO will build upon that foundation and establish your professional networks. 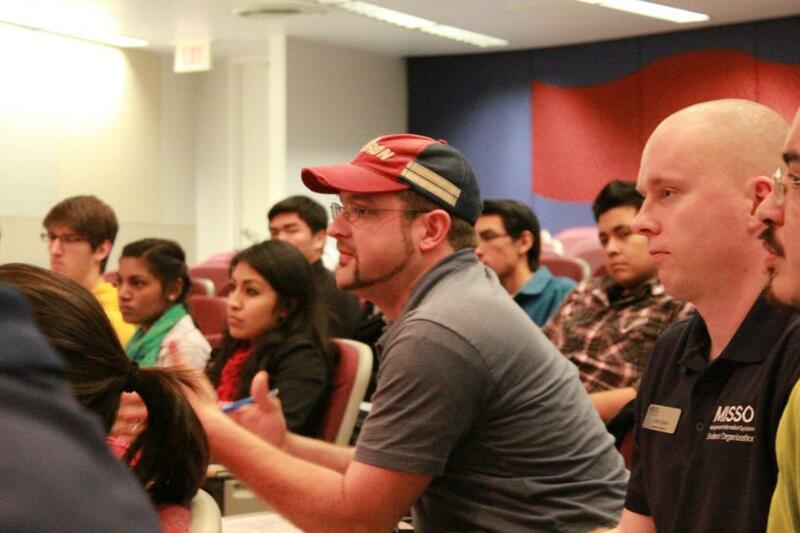 MISSO serves as a liaison between top employers, faculty, alumni and its members. As an organization we work to facilitate a dialogue with recruiters on the local and national level. MISSO strives to emphasize our members’ presence to firms to enable professional relationships and potential career opportunities. As an organization we regularly offer Professional Events to provide our members with great networking opportunities and gain valuable insight in the inner workings of the IT profession. Professional Meetings are events where companies send their recruiters to talk about their respective organizations while also meeting with our members to seek out potential future employees. The MISSO Career Fair is an exclusive Business Technology focused Career Fair for our members to meet with a plethora of recruiters. Both events allow recruiters to meet our members, find candidates for their open positions and give members invaluable information for their professional development. Our educational events allow our members to reinforce their academic pursuits or to gain new skills. Regardless of the situation, we work to invest in the skillset of our membership by offering educational services. MISSO offers Educational Workshops to serve as review sessions for our members covering material from the University’s most technical classes. Before any Java, Database, or Transaction Processing examination, MISSO’s education officers hold review sessions to better prepare our members for the difficulties they can face from these fields. Officers have dedicated Committees to ensure the success of our members and diligently work to easing the learning process as much as possible. As students, we understand some of the difficulties that can come from learning a new skillset, therefore let us work together in our pursuit of academic excellence! Whether you are a new student, an upperclassman, or you just want to learn, MISSO has everything you need to make your envisioned success story a reality. MISSO’s social events provide a place for our members to build relationships, work together and learn from each other. We regularly conduct Bake Sale Parties to give our members experience on the complexities of business projects while exposing members that partake an opportunity to engage in a team framework for a successful objective. MISSO believes in giving back to the community. We offer Community Service opportunities for our members to gain important experiences in teamwork events. We strive to make our city and our community a better place for our fellow citizens helping with a minimum of two local humanitarian projects every semester. Joining MISSO, isn’t just joining an organization, it is becoming apart of a tight close-knit community. MISSO provides our members with our own Career Mixer with companies that are looking to hire you. No more standing in long lines and talking to companies that aren’t hiring or aren’t looking for MIS majors. As a member you are able to attend for free! It is a great way to network and be able to land that dream job/internship. Not only do we help you get your resume in tip top shape, but MISSO has a personal resume database for hiring managers to get a hold of your resume! We have socials every Thursday after our professional meetings. They allow you interact with other members and alumni that come out! One of the greatest advantages of being a MISSO member is being able to attend our wonderful professional meetings! Companies come out and talk to you about what they have to offer. You can meet employers and learn about what they do. MISSO has a mentorship program that pairs up mentees with alumni or seniors. Mentors will be able to provide business and life skills, insight, vision and wisdom, and give you feedback to help you improve your performance. Officer elections will be held on Thursday, April 2nd. Keep in mind that in order to be eligible to run for any officer position, members must have attended the Officer Election Orientation and a minimum of 3 professional meetings this semester. This semester we will continue OPEN ELECTIONS – meaning everyone will have a real-time view of candidates that have signed up to run for a particular position. Please remember that the quality and direction of MISSO as an organization is directly dependent upon the officers who lead it. If you feel you have what it takes to work hard and bring leadership to this organization, please do not hesitate to run. Resumes not in this format will NOT be accepted! Please submit your Unofficial Transcript File Type: pdf Need Help? By submitting my resume, I attest that the contents are true and factual, and I understand that any falsification of information is a violation of the University of Houston’s Academic Honesty Policy and/or the MISSO Code of Ethics. MISSO will be holding an Election Orientation for members on March 26, 2015 at 06:00pm in Melcher Hall Room 180. It will cover responsibilities and requirements for officer positions open for Fall 2015, as well as the election process. Subsequently, sign ups will open that night. Attendance is mandatory to run for office, so even if you’re just considering a position please attend. If you cannot attend, send an email to president@misso.org or vp@misso.org 24-48 hours in advance prior to the event. Must have attended 3 meetings this semester. Attendance is mandatory to run for Office. MISSO Banquet is quickly approaching! It is on Wednesday May 13th at 6:30PM at Crystal Ballroom at The Rice! This semester has passed by insanely quick and it is almost time to end it and send off our graduating seniors! There will be food, dancing, mystery awards, raffle prizes, photo booth and speeches. After that it will increase to $15.00 per person. Once you park please go inside of The Rice, take the elevator to the second floor, you will see it immediately. Reserve your spot today and join us for the end of semester celebration. This event is open to everyone, so don’t forget to invite your friends, family and significant others. Note: We will not accept payments in cash or at the event. If you have any comments or questions, please contact Parisa Koochack at adminvp@misso.org.